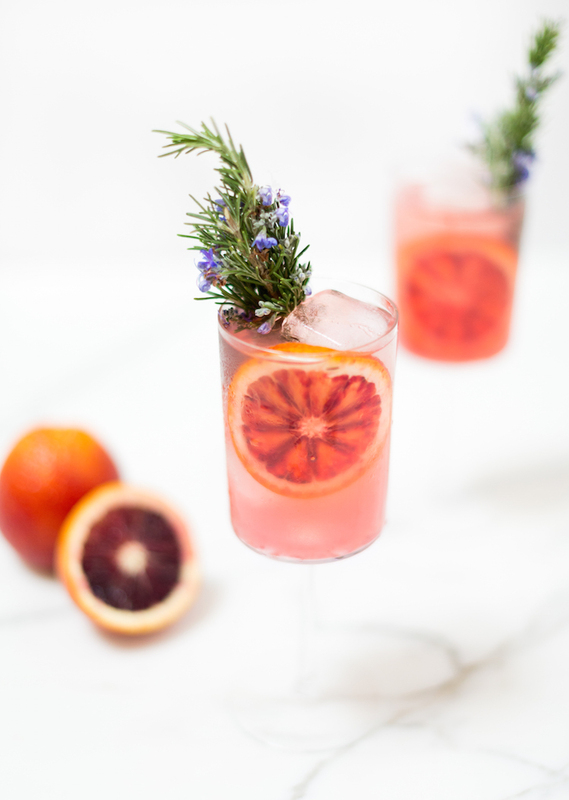 I am welcoming spring today with a Blood Orange + Blooming Rosemary Gin & Tonic! If you recall back in warmer times, I posted this Elderflower Spanish Gin and Tonic. It was SUCH a big hit! 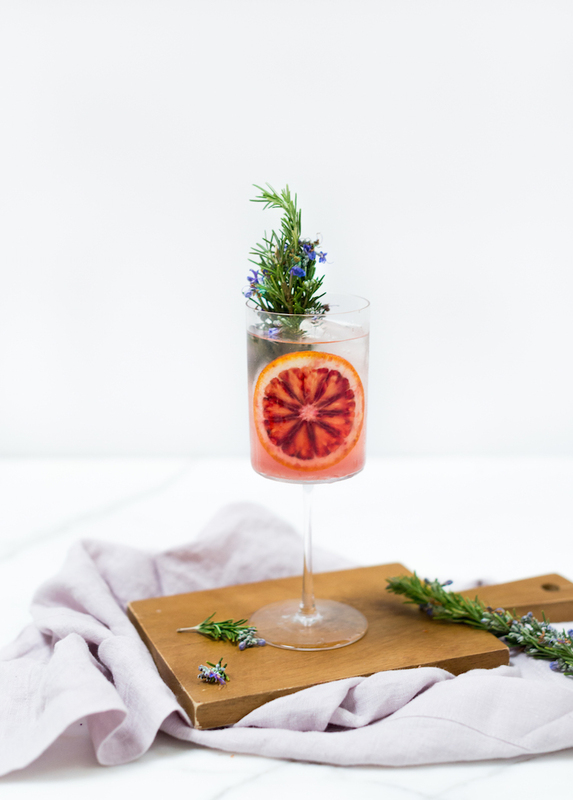 I decided to work on more Spanish style G&Ts that you can whip up at home as the warm weather returns to us. Hooray! They are perfect for entertaining as you can make pitchers of them and they don’t require any shaking. 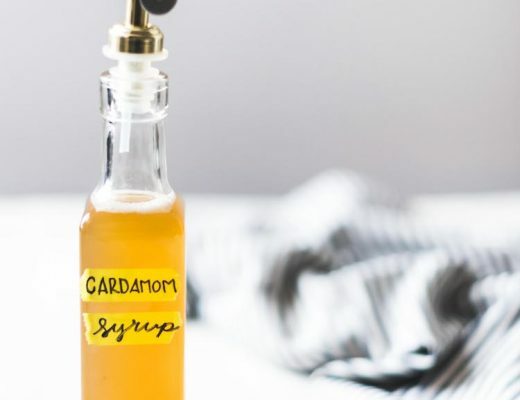 Just pour all ingredients into a glass and you are good to go. Easy peasy, my friends! 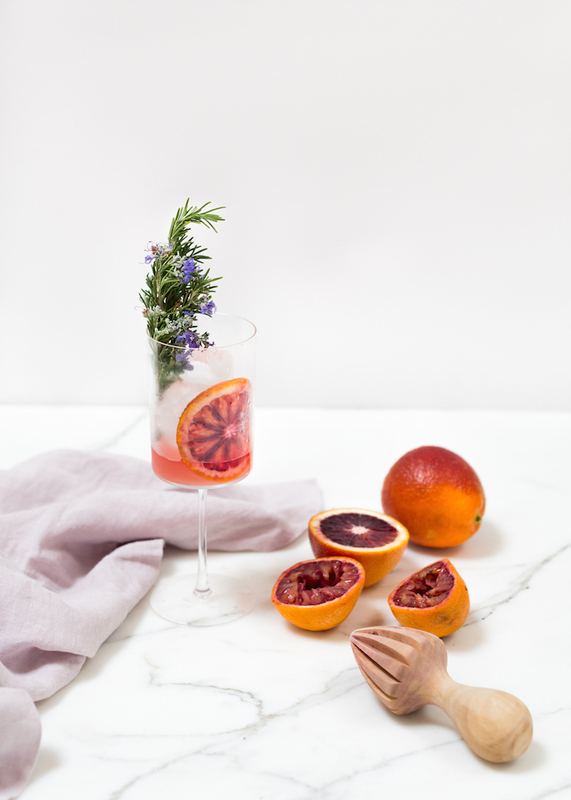 First up is the Blood Orange Rosemary Gin + Tonics! Blood oranges are about to be out of season so I wanted to send them out with a bang with this tasty tribute! It’s always sad to see blood oranges go (they are my most over used winter produce), but that just means spring’s bounty is at our doorstep like rhubarb, strawberries, and peaches! 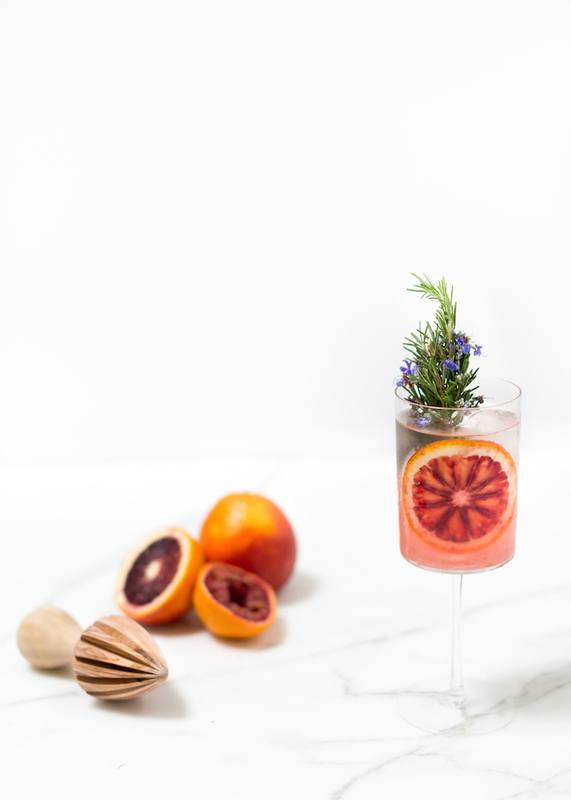 Used in the both the cocktail and as a garnish, the blood oranges add a lovely citrus flavor + aroma and beautiful color to a traditional G&T. 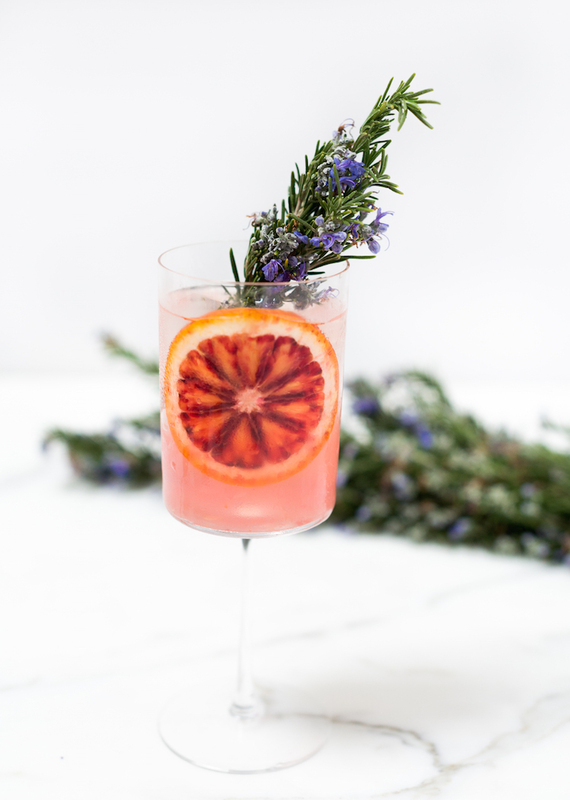 I recently found blooming rosemary at the farmer’s market and knew I had to use it in a cocktail! I mean, how amazing is it? I had no idea rosemary even produced flowers so I was pleasantly surprised to spy it at a both next to blooming arugula (who knew?!) 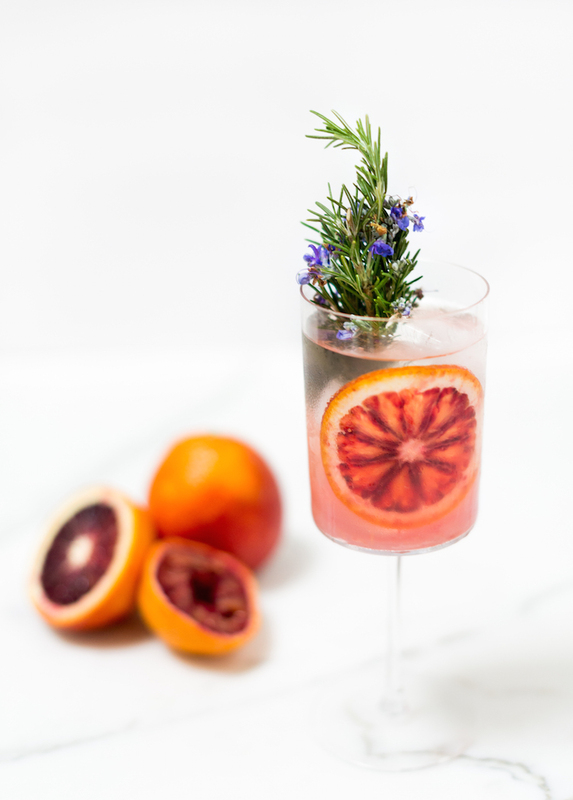 This G&T is the perfect winter-to-spring cocktail combing wintery blood oranges with the promise of spring from the tiny blooms of the rosemary. Rosemary sproute pretty purple blooms in spring and early summer and are perfect for drinks and garnishing plates. If you don’t have access to blooming rosemary, regular rosemary will do just fine. 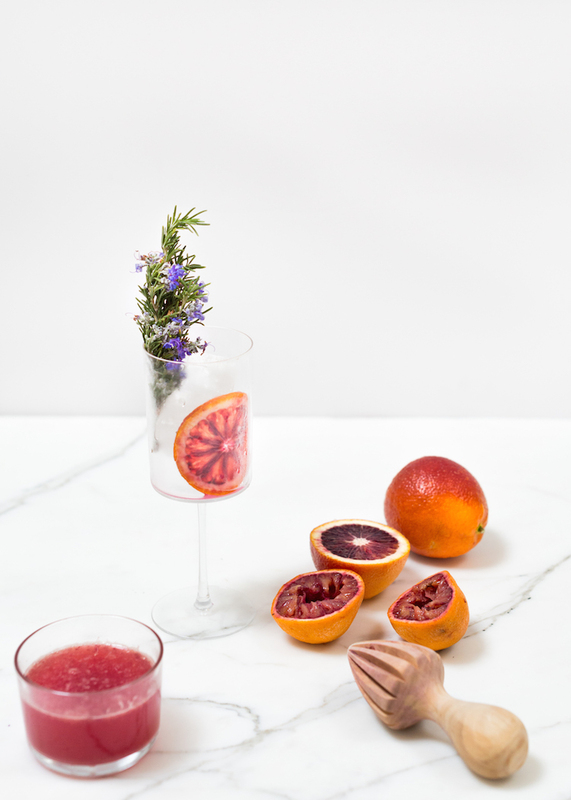 I usually juice the blood oranges and mix them with the tonic water first to help incorporate it better into the drink sine it is not shaken. If you want the ombré effect that is going on here, just slowly add the blood orange juice at the end and it will sink to the bottom due to the higher sugar content. Magic! 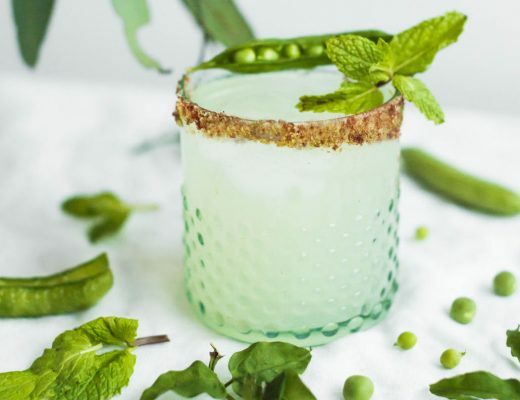 Spanish style Gin & Tonics have been popping up on menus and they have given LIFE to the classic G&T! 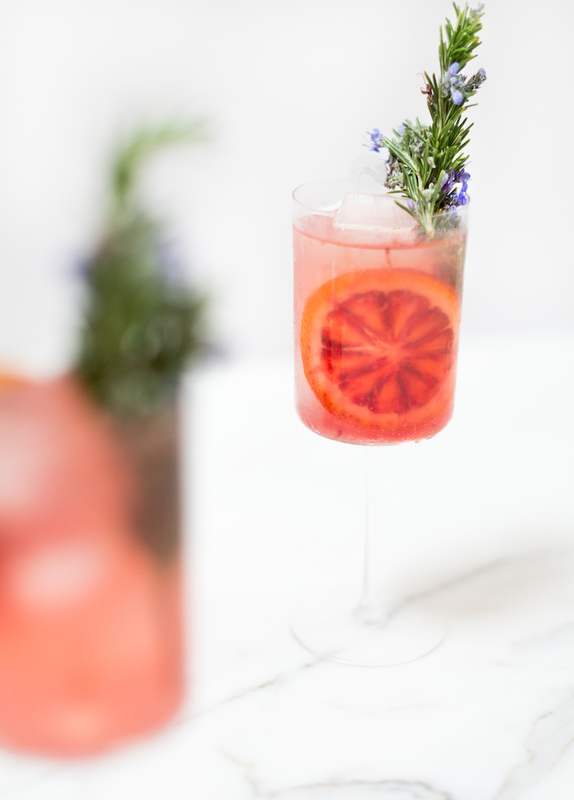 England can take credit for the creation of the original, but the Spanish used their sense for flair to make this classic drink really shine! 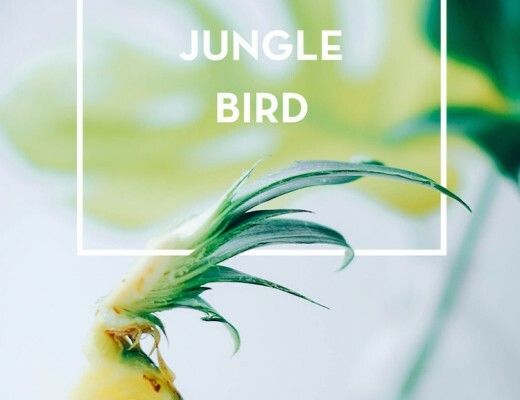 Along with the juniper heavy gin and fresh tonic, other ingredients are added to impart not only subtle flavors, but add a beautiful garnish to the otherwise simple drink. How absolutley gorgeous are these cocktails?! Chill the drinking glass for a half hour. Add ice to the glass. 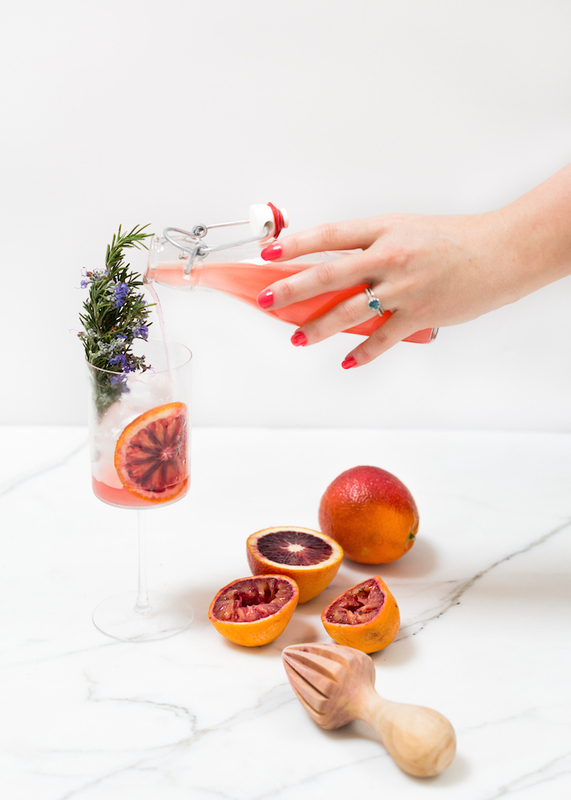 Squeeze the blood orange into a separate glass with tonic. 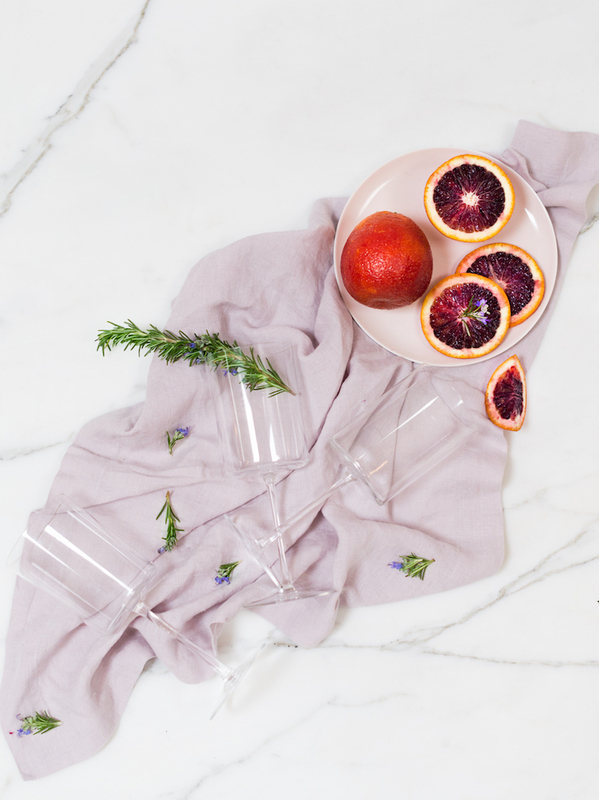 Add the blood orange slice and rosemary sprig to the glass first to help infuse. 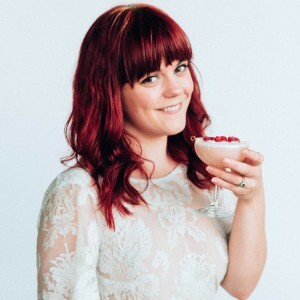 Pour gin into the glass. Add the tonic and stir before drinking.